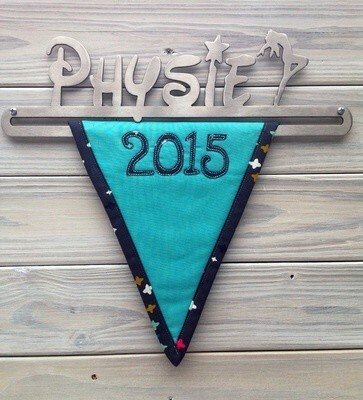 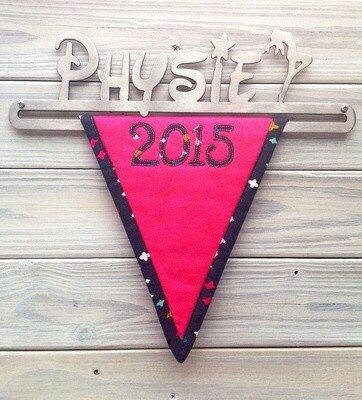 These "Current Year" Medal Bunting are the perfect solution to display your Physie medals on. 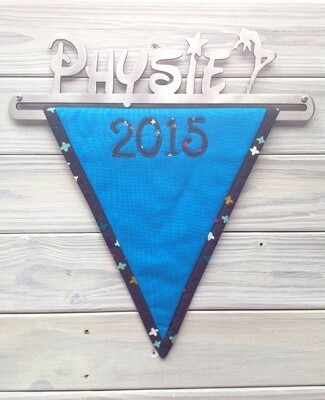 The Bunting slips onto the Stainless Steel Physie Hangers and will hold up to 10 Medals. 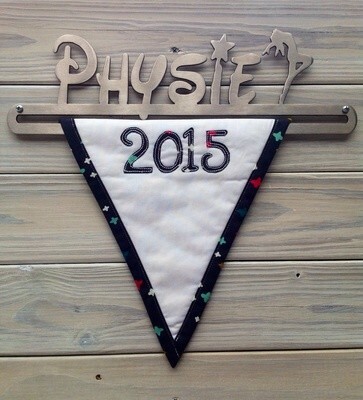 It has room on either side to hang a few lanyards, or even better, buy a separate metal hanger for your lanyards too. 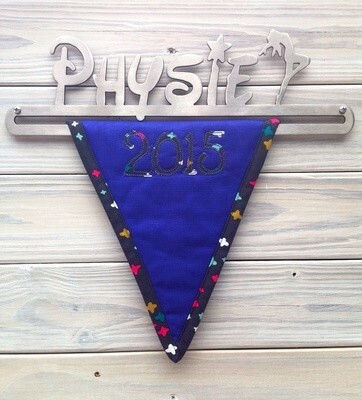 Each year, replace with a new "Current Year" Medal Bunting and display the previous years in a typical bunting style around your room, in a Display Folder or Scrapbook Folder to cherish forever.